The UW Tacoma Global Honors Faculty Council is a body responsible for providing academic and specialist guidance on matters including curriculum, admissions and graduation. Drawing considerable experience and expertise from academic and other programs across campus, the Council helps keep Global Honors at the cutting edge of educational enrichment. Dr. Divya McMillin is winner of the 2012 Distinguished Reseach Award, the highest recognition of scholarship offered to faculty at the University of Washington Tacoma. She is Professor of Global Media Studies and teaches courses on Asian film, non-western television audiences, critical research methods, and media globalization. As Executive Director of the Global Honors Program, McMillin teaches Honors orientation and capstone courses, working closely with students to develop excellence in undergraduate research. Under her leadership, the Global Honors Program has more than doubled its graduates, secured a Global Scholar merit award for each student, and developed fully-funded international research opportunities for undergraduates. Dr. Mark Pendras' research concentrates on three primary areas of inquiry: urban political economy, alternative urban and regional development politics and policy, and university/community relations. His research on urban political economy takes a critical legal geographic approach to investigating how capital mobility influences urban politics and development and to identifying ways to denaturalize and positively reconsider the relationship between capital and place in the United States. His critical legal geographic research suggests that capital mobility is politically produced and contestable, which, in turn, opens space for thinking about alternative approaches to urban development. As he continues to explore critical legal dimensions of urban political economy, he has therefore recently expanded his research to include a more focused exploration of creative urban development alternatives and the political challenges associated with alternative urban development. His third area of research considers how critical scholarship and teaching can both improve university/community relations and advance positive urban development. Dr. Huatong Sun is an Assistant Professor of Digital Media Studies. She teaches Web design, print design, social media, and other digital media courses. Her research explores the relationship and interaction between technology, culture, and design in this increasingly globalized world, with a focus on web technologies and mobile communication. Her book “Cross-Cultural Technology Design: Creating Culture-Sensitive Technology for Local Users” (Oxford University Press, 2012) was named the 2013 Best Book in Technical or Scientific Communication by the National Council of Teachers of English. Her current research project seeks to develop design resources and toolkits to create culture-sensitive designs for under-represented user groups through community engagement activities. A primary goal of this project is to cultivate students’ critical design sensibility and transform them into socially responsible leaders. Dr. Barb Toews is an Assistant Professor of Criminal Justice. She obtained her doctorate in Social Work and Social Research from Bryn Mawr College, her M.A. in Conflict Transformation at Eastern Mennonite University, and her B.A. in Sociology at the University of Waterloo. Her research interests focus on restorative justice theory and practice, architecture and environmental design, corrections and incarceration, criminal and restorative justice professional practice, qualitative research methods, and research ethics. Dr. Arindam Tripathy is an Associate Professor of Business and Accounting. His research and teaching interests include accounting information systems, auditing, managerial accounting, and financial accounting. Dr. Tripathy has been recognized for his excellence in research and teaching at UW Tacoma on multiple occasions. His professional affiliations include the Management Accounting, Accounting Information Systems, and Strategic Emerging Technologies Sections of the American Accounting Association. Akane Yamaguchi has been at UW Tacoma since October 2014. Despite the fact she grew up in a small coastal town in Japan, thanks to her parents who were involved with Sister Cities Programs, she was exposed to the value of cross-cultural exchange from a young age. After completing high school in her hometown, she moved to Bellinghan, WA as an International Student. She attended Whatcom Community College and attained her A.A degree in Business Administration. She then transferred to Western Washington University and earned a BA in Business Administration and M.Ed. in Student Affairs Administration in Higher Education. After completing her master’s degree, she worked at various universities and colleges in Washington state, most recently including in the ISS office at Pacific Lutheran University. Akane is passionate about working with International Students and connecting them with opportunities and resources to make the most of their time at UWT and beyond. 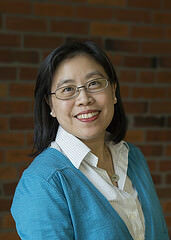 Dr. Ka Yee Yeung-Rhee is Associate Professor at the Institute of Technology from UW Tacoma. She is the Vice Chair of Faculty Assembly at UW Tacoma in 2017-2018. In addition to administrative roles, she teaches computer science courses. Her research focuses on the application of data science techniques for biomedical applications. Her team develops computational methods and tools to create, share, execute and reproduce bioinformatics workflows for big data. She is also passionate in enhancing the diversity of students in research and in particular, undergraduate research. Dr. Weichao Yuwen received her PhD (2016) from the University of Washington Seattle and BSN (2010) from Arizona State University. Dr. Yuwen teaches undergraduate students in the Nursing and Healthcare Leadership programs, including classes on Research in Nursing & Healthcare and Diversity, Health, & Inequities. Her research focus is on family-centered care, health disparities, sleep health, and pediatric chronic conditions. She has joint published articles on sleep patterns, sleep quality, sleep hygiene, and sleep fragmentation and biomarkers.